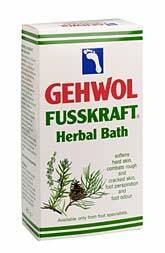 A refreshing bath for tired, burning and aching feet. Soothes burned, dry and chapped skin. Softens corns and calluses, normalizes foot perspiration and brings elasticity to the skin.